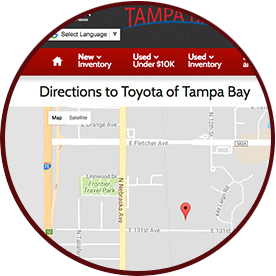 You Are Here: Home > Click & Buy At Toyota Of Tampa Bay! 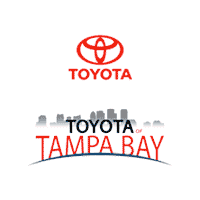 Click & Buy At Toyota Of Tampa Bay! You do everything online. Order lunch, furnish your condo, fill your closet – so why not buy your car online too? 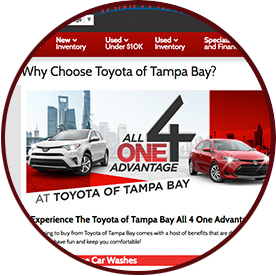 With Click & Buy at Toyota of Tampa Bay, we make buying a car online Fast, Friendly, Fair and Fun! Explore hundreds of new and used vehicles from the comfort of your own home, and get the best deals! 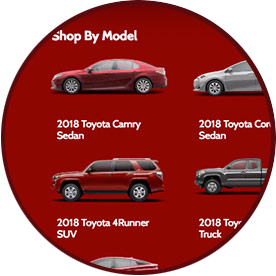 It’s easy – just click below to create your online profile, then browse our inventory for the perfect car to fit your unique lifestyle.Once you create your account, you’ll be able to apply for financing, value your trade, and save all of your preferences in one place. Then, when it’s time to come to the dealership, all that’s left to do is sign and drive! Once you find the car that’s right for you, getting financed is easy. 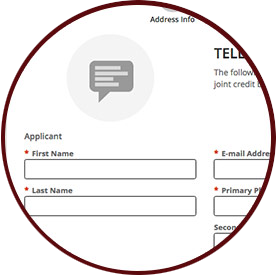 Just fill out an application online, and we’ll help you figure out what kind of financing you qualify for. We’ll even help you Pay Your Way with monthly payments options that work around your budget.You can fill out all your paperwork in one sitting, or save it to your profile and come back later. Once you chosen your payment options, and completed your paperwork, we’ll have your car ready and waiting for you at the dealership! 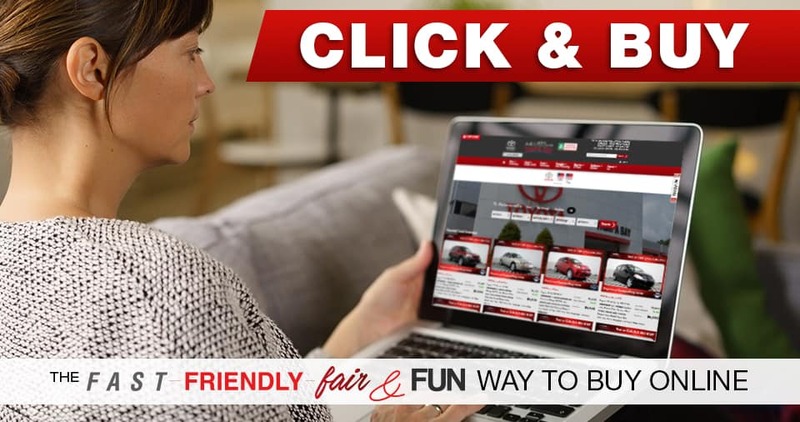 You can take care of the entire car buying process online in just a few easy steps. Then all you have to do is visit us at Toyota of Tampa Bay to pick up your new car! We’ll have a knowledgeable sales associate be on hand and available to help you should you have any questions or concerns before you go. From finding the perfect car, to applying for financing, to picking up your brand new car, we strive to make everything as easy and hassle free as possible. But it doesn’t end there.We’ll be there for you long after you take your new car home with our All 4 One Advantage! That means free carwashes for life, access to our on-site movie theater with popcorn, a service rewards program and plenty more! Click below to explore all the amazing benefits that come with our exclusive All 4 One Advantage.